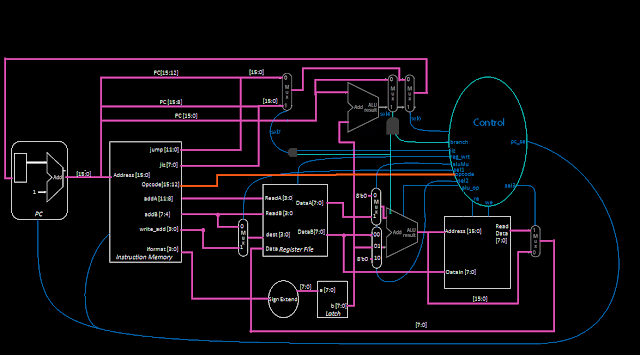 I have designed a 16bit RISC processor designed with Xilinx iSim ans iSim simulator. 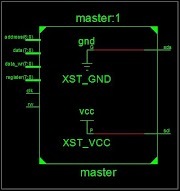 RISC stands for Reduced Instruction Set Computer which is small microprocessor designed to favour small tasks and compute instructions with less time for the execution process. Common RISC processors that you would see around are ARM, MIPS, IBM Pc. Why was RISC introduced ? 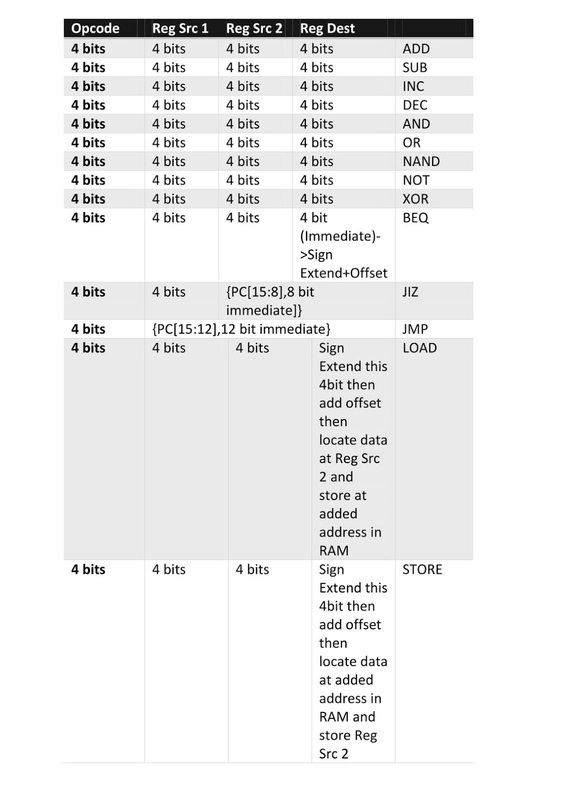 As compared with CISC (Complex Instruction Set Computer) which takes a complex time to execute the instructions was reducing the performance of computing where the speed was drowning when CPU contacts the data memory. Hence another alternative was set in motion and that was RISC architecture. Coming down to my 16bit processor. R0 always contains zero. Modify it as you want but not recommended. 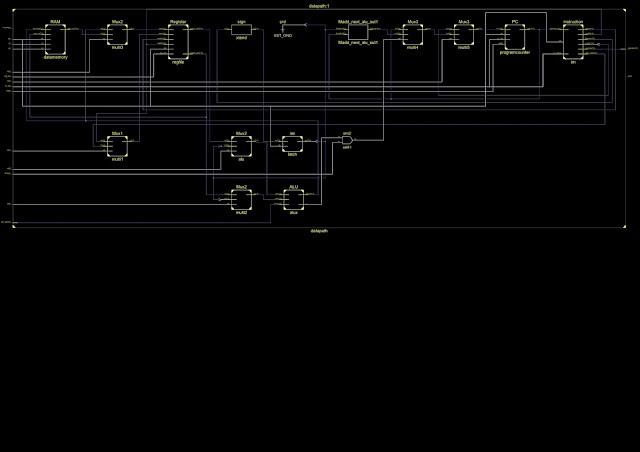 Instructions are represented by 2 bytes. 1. JIZ instruction has been added. Can you share the ISA for above architecture? But I have excluded shift left 2 because it is required when we jump by 4 to next pc_address to remove last 2 zeros. But here we don't need it. I have modified and verified it. I used it and got A grade from my teacher however I am a bit confused. Why have you avoided alucontrol instead used opcode directly from control unit ? Are you goin to add more instructions ? Well alucontrol was somehow taking a clock cycle and was making my processor a delay with 1 CC. display "Z" (Hign resistance) , Have your code wrong ? or imcomplete ? 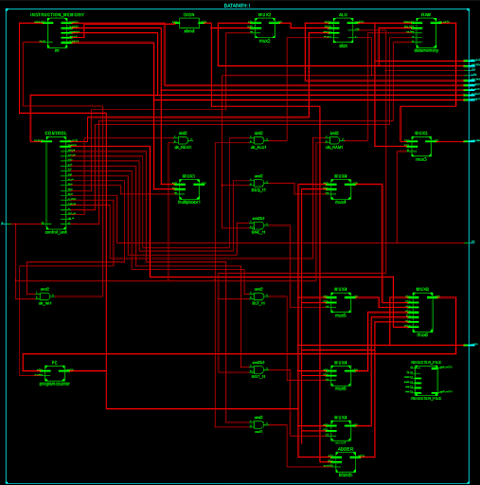 a lot of signal display "Z"(high resistance) , have your code wrong? or incomplete ? 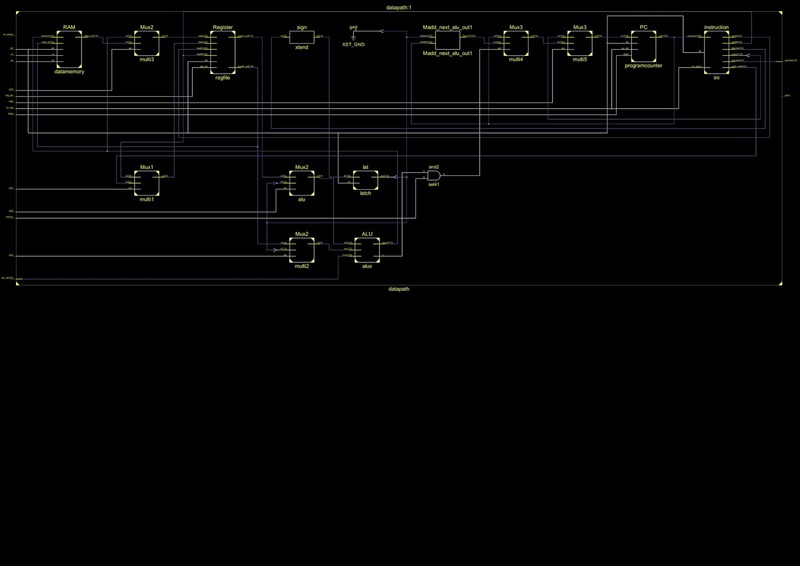 You must simulate the top level module, This will only show the wave of clk and reset, however other waves can be added using the navigation to all modules from the navigator at left side in Xilinx Simulator. 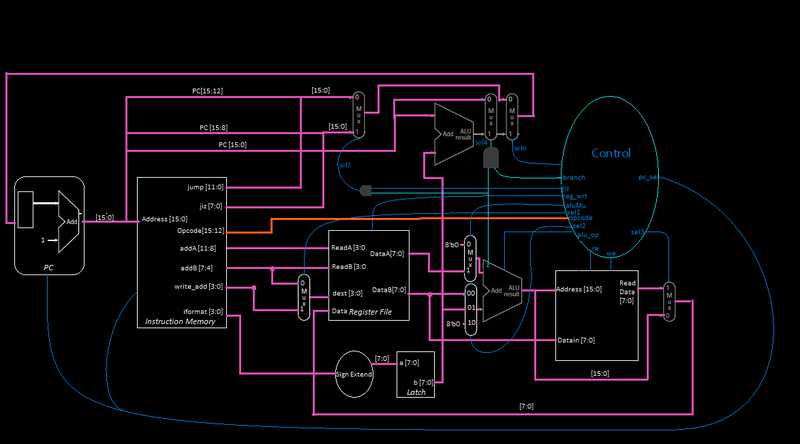 hi , I have a question , your sel2 only 1 bit ,but sel2 control mux have 3 state (00 01 10) ? Correct Bro ! I have changed it. Thanks for reviewing. The sel 10 state gets used only in JMP format so it was a relief. Also ran prime and Fibonacci on this code. Your code is poorly documented!!!! Try to make it readable next time. which module remain at top level ? okay no problem , after successful compilation clock and reset pins are there then how to check final output ? and what kind of output should be there? It will show all modules. All you have to do is add any port of the module to the wave window by dragging or right click and add. Regarding What kind of output should be there? i am using quartus II software any idea about that? Your code is for 16 bit processor. Is this code is similar for 32 bit? 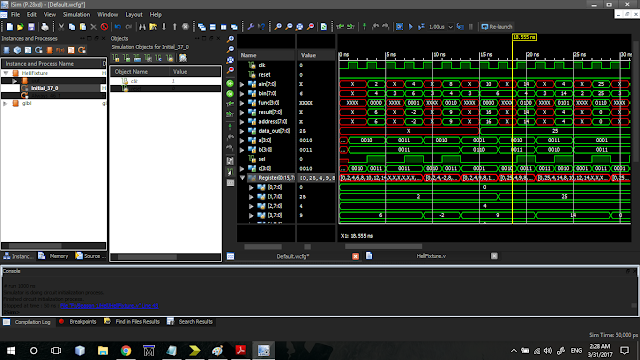 Should we write test bench for each module separately or only one test bench for whole module?? It is already present in the code itself. How can we inputs to each module?? How have you connected all modules ? Bro is your code is Pipelining risc processor? 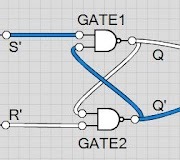 multi source in Unit on signal ; this signal is connected to multiple drivers. Hi Everyone, I have edited and cleaned the code. I will repost with single cycle code as well as pipelined code with complete explanation. Thanks for your patience with my blog. Releasing New Code Tomorrow ! !